Explaining education: How Zimbabwe’s education system works. A group of Tariro's secondary students model their uniforms. Hello readers! I hope that you are all doing well. In this weeks post I wanted to explain how the education system in Zimbabwe works. The reason I chose to cover this topic is because I think it’s important that people get a more in depth understanding of our work. I am trying to go beyond the mission statement of, “educating and empowering young women and girls in Zimbabwean communities affected by HIV/AIDS,” and expand on that. I understand the school system can be confusing, but understanding it is the next vital step in knowing the work. Beyond supporting young girls, I hope this helps you to understand why we would pick the age group that we do, and give you a better understanding of these girls lives. Zimbabwe gained independence from colonial rule in April 1980. At that time most of the people in the country didn’t have the resources to go from primary to secondary schooling, which stopped them from continuing their education. Since then, the educational system has expanded; however, there is still a huge discrepancy between the private schools and the government funded schools. The school system in Zimbabwe consists of seven years of primary school and six years of secondary school. When these 13 years are completed a student can then move on to University. The school year for Zimbabwean students runs from January through December. The terms are three months each and they are all broken up by one month holidays. The students take their national examinations during the third term in November. Primary school is the first seven years of the 13 year education. Most of the children begin grade one when they are six, however there are a few that start when they are five or seven. There is a difference in the first few years of school between rural and urban environments. A rural secondary school in Mhondoro, where Tariro has sponsored several students. When students are entering secondary school they compete for places in private and mission schools depending on how well they did on their seventh grade exams. There are two levels to secondary school: “O” level which is four years, and “A” level which is two. There are certain forms for each level. “O” level consists of forms I-IV, which “A” level consists of forms V-VI. There are certain curriculum for each form and once a student gets through form IV and is ready to move onto form V it becomes very competitive. Only those students with very high marks manage to get into “A” level courses. According to the U.S. Embassy in Harare the “A” level courses are made up of, “science, commercial and art subjects. The vast majority of students take three subjects at “A” level, with a few very gifted students opting for four subjects.” At the end of their “A” level curriculum when the students work is graded there are certain scores that are equivalent to college credit, just like AP classes. It is important to understand the education system in Zimbabwe to understand why Tariro’s work is vital. In many situations children will get out of primary school and not be able to move on to secondary school. This especially effects the girls who have been orphaned by losing parent/s to HIV/AIDS. I am happy to say that through Tariro’s work we are making the problem a little bit smaller everyday by helping send 50 girls to school each year. Now Tariro likes to focus on sending girls to secondary school as the primary goal, however we do have some girls that are in college right now. We had one girl, Pauline K, finish university last year, but we have two currently enrolled. Tatenda C. is currently a freshman in university and Daphine S. was just awarded a scholarship to study at the University of Venda. This is another great program working in Zimbabwe to help children. For this reason I thought I would give a short blurb about it for you, the readers, in case it’s another initiative you might be interested in. Thank you for taking the time to read about the education system is Zimbabwe. I certainly learned a lot when researching it. I hope that this has been informational and interesting. If you have any questions, feel free to leave a comment. There is a women named Hazel Zengeni who is studying at MIT right now. She went through the education system is Zimbabwe and has worked with Tariro girls. She is going to be writing a piece about her experience with the education system and I will be posting that to the blog! 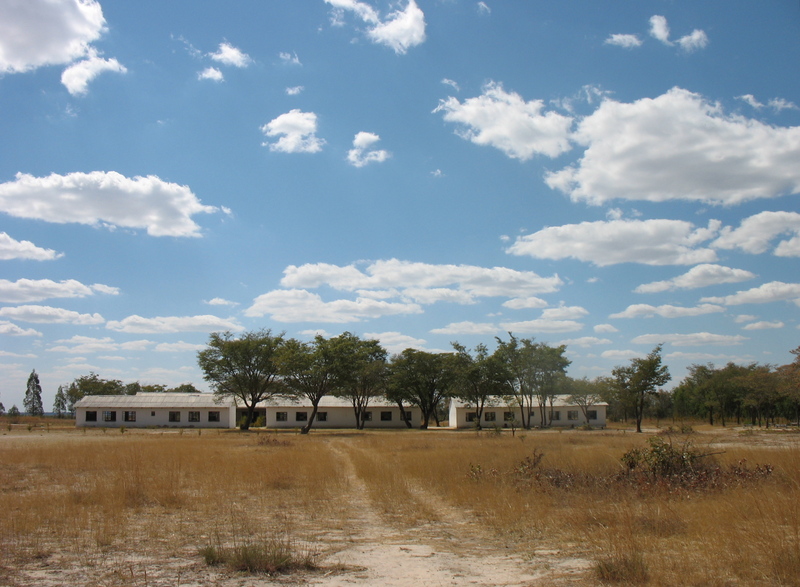 This entry was posted in Uncategorized and tagged A level, education, girls, HIV/AIDS, O level, primary school, secondary school, Tariro, United States Embassy Harare, USAP, Zimbabwe. Bookmark the permalink. I have a colleague at work which studied in Zimbabwe; she tried to explain to me the how Zimbabwe Education System works, at that time I couldn’t believe much, because I couldn’t understand. But now, after Tariro explanation, I understand better. First of all I believe that the Zimbabwe system has an unfair procedure and injustice for the kid who has a dream. I encourage you “TARIRO” on the job that you are doing. Well done! Keep Going! It has been da best of ma coursework reseach page… Africa know moving 4ward. A very big congratulations to tariro 4 for her help towards orphan in Zimbabwe. Lots of valuable information and wonderful write-up also. I have currently subscribed to your blog as well as I am bookmarking it for future referral.